squiggy was a real-time spectral manipulation tool for the (now defunct) Be Operating System (BeOS). 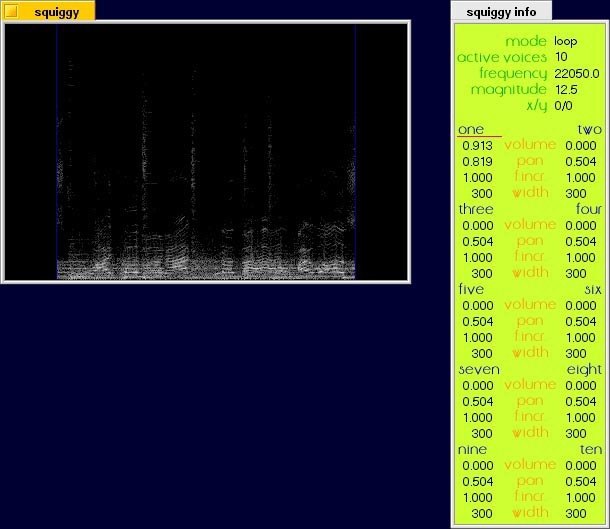 With it you can create, record, manipulate and play back sound-images called sonograms. 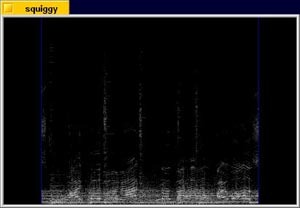 It can be used as a live instrument, and could be thought of as a type of visual-sound sampler. Squiggy can record and create sounds, edit them graphically, change them in many different ways, mix them together and play them back, all live. squiggy was used for the recordings on the trios CD, and for several years I often used it in live performances. The original squiggy website is here.